The 2019 Ford Escape lineup enters the new model year with one goal in mind – tightening its grip on its top spot in the compact crossover SUV segment. But it’s going to have to go through one of the company’s oldest and longest rivals – Chevrolet – to do so. More specifically, the 2019 Escape lineup has to fend off a new 2019 Chevrolet Equinox lineup to maintain its spot at the head of the compact crossover SUV class. Does the new Escape have what it takes? Or are we going to see a new leader of the compact crossover SUV segment? Let’s find out right now as we take a look at this 2019 Ford Escape versus 2019 Chevy Equinox head-to-head model comparison. 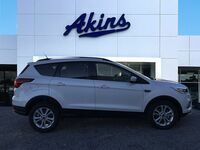 245 HP & 275 lb-ft. Max Power Ratings 252 HP & 260 lb-ft.
What are the Advantages of the 2019 Ford Escape Lineup at Akins Ford near Atlanta GA? As you can see in our 2019 Escape lineup versus 2019 Equinox lineup comparison table above, the two model lineups are quite similar in many ways. 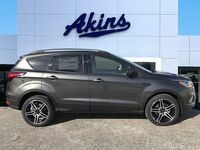 But the 2019 Ford Escape lineup still holds some advantages in key categories to ensure it remains the best option out there for anyone and everyone looking to purchase a new compact crossover SUV. Both models offer the choice between three engines, and the most powerful engine of each lineup takes a key power rating as its own. But while the 2019 Chevrolet Equinox lineup may offer slightly more horsepower, the 2019 Ford Escape lineup offers a greater advantage in terms of torque. And while horsepower may be the rating that’s more fun to talk about, many gearheads would agree that torque is even more important than horsepower. 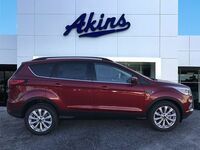 One category in which the 2019 Escape lineup holds a definitive advantage is in terms of cargo space. As you can see in the table, the 2019 Escape lineup features far more cargo room than what’s offered by the 2019 Equinox lineup. 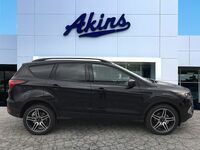 For more on the 2019 Ford Escape lineup, please contact our staff here at Akins Ford near Atlanta, GA.